Development of superior quality PV systems, based on a hybrid combination of technological innovations and business operation solutions, aiming to accelerate large scale deployment in Europe and help EU photovoltaic business to regain leadership on world market. introducing and combining five PV module innovations applied to c-Si based bifacial modules and CIGS modules. developments ensuring higher power output, performance monitoring and data collection on string level, and long-term stability of operation. developing a new digital and holistic process: PIM (PV information Modelling / Management). Today photovoltaics (PV) has become one of the most cost-effective forms of electricity production globally and in some regions is already the most competitive unsubsidised form of electricity. Despite positive cost and growing developments, European PV manufacturers are facing a decline in production due to competition from third countries. The fragmentation of the value chain compared to competing actors is believed to be the major factor for this decrease in the competitiveness. SUPER PV is a collaborative European-funded project initiated in 2018 by 26 partners in reaction to this trend. Together, they target a significant LCOE reduction (26%-37%) for European-made PV by adopting a hybrid approach combining technological innovations and data management methods. Introducing superior quality PV systems will create conditions for accelerating large scale deployment in Europe and help EU PV business to regain leadership on world market. The kick-off meeting of SUPER PV took place in Vilnius (17th-18th May 2018). The project pursues the development of innovative and superior quality PV systems aiming to accelerate large scale deployment of photovoltaics in Europe and help EU PV business to regain leadership on world market. SUPER PV was selected for a visual presentation introducing the project at the EU PVSEC 2018 in Brussels. Although the SUPER PV poster was displayed throughout the entire event in the “Grand Hall”, it was presented on Thursday 27th September. 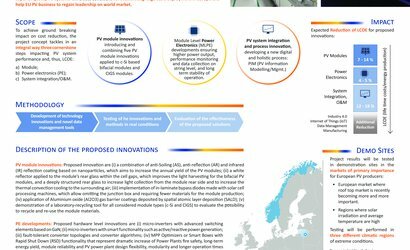 Project poster presented at the EU PVSEC 2018 (European PV Solar Energy Conference and Exhibition) giving an overview of the project ant its expected impact. 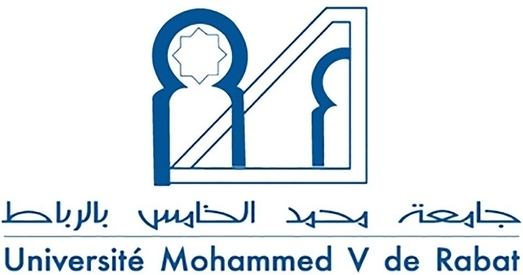 This project has received funding from the European Union’s Horizon 2020 research and innovation programme under grant agreement N° 792245. The information reflects only the project's view and the Commission is not responsible for any use that may be made of the information it contains.